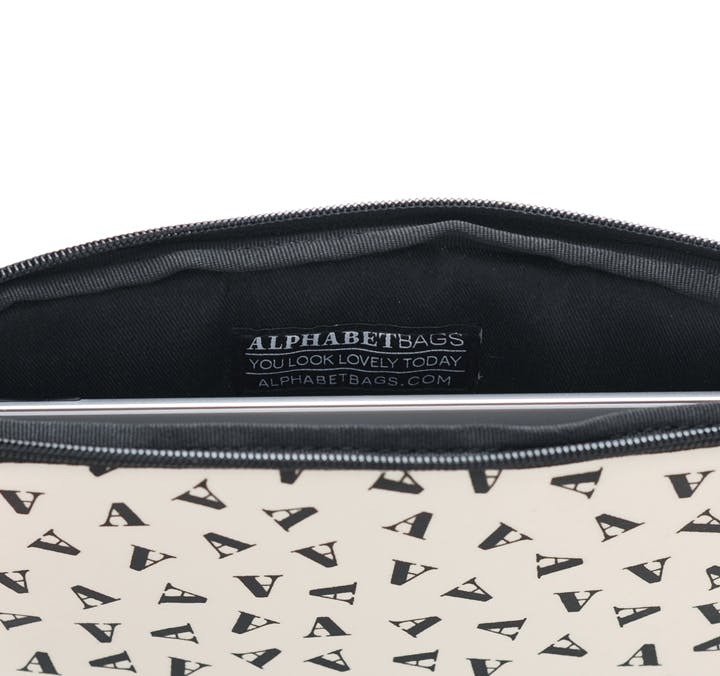 Home > Blog > Say hello to Alphabet Bags iPad Cases! 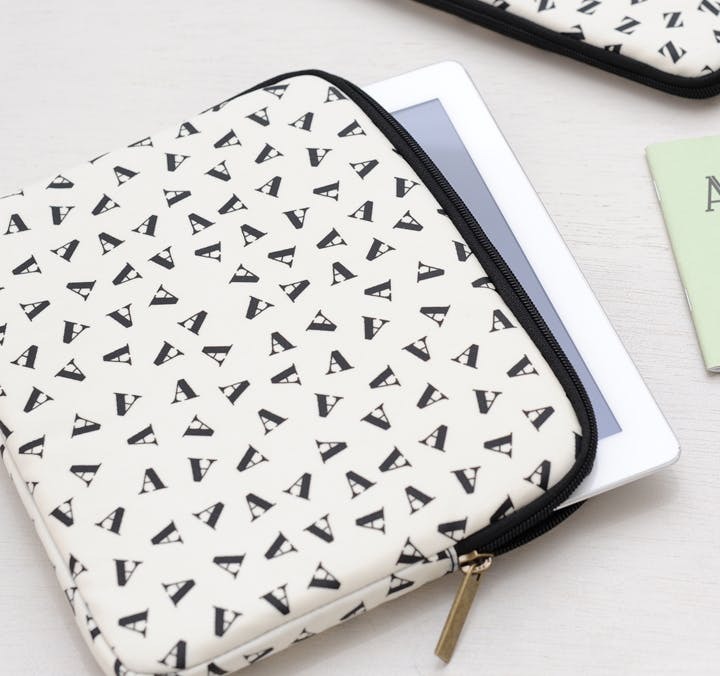 Say hello to Alphabet Bags iPad Cases! 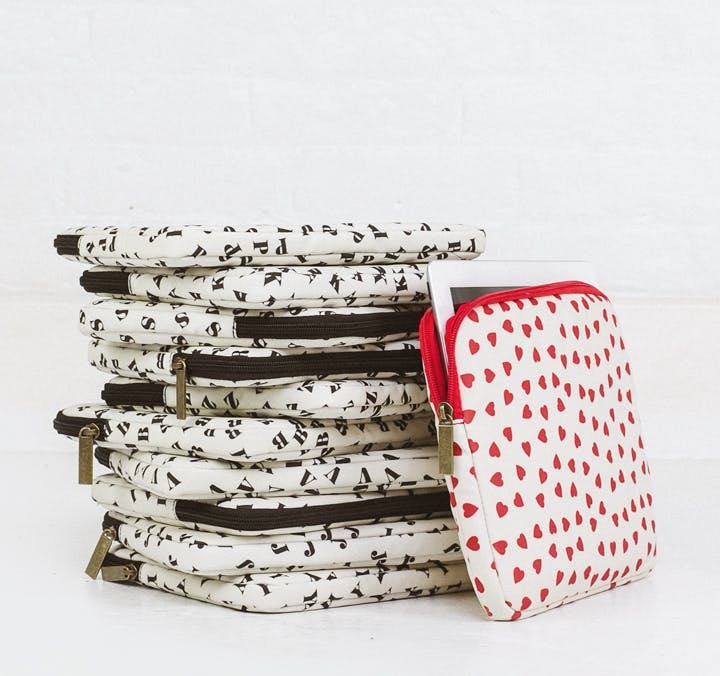 We are excited today to introduce a brand new initial collection, iPad cases! Our tumbling initial tablet cases are available from A to Z and make the perfect personalised and handsome accessory for anyone! The little tumbliing initials are printed in black on a lovely natural cream cotton. The cotton has been coated with a smart matte laminate, which is wipeable. The interior is lined with black cotton and the case is cushioned on both sides to keep your iPad safe and snug. 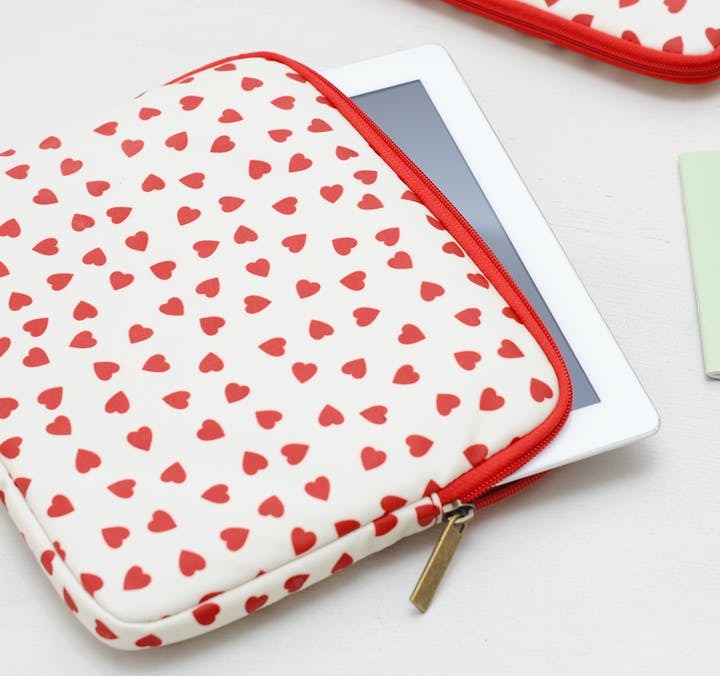 As well as our initial collection we also have a lovely tumbling heart iPad case available. Printed with sweet red little hearts on natural cotton with a red cotton lining. To see the full collection click here. We hope you like them!